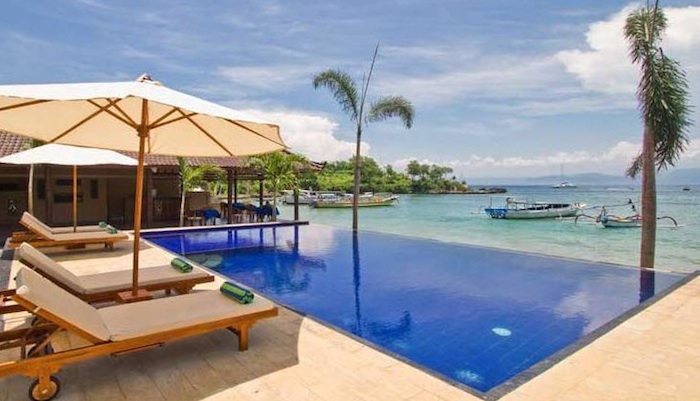 Hai Tide Beach Resort is a unique retreat on the soft sands and calm waters of Mushroom Bay, Lembongan Island. 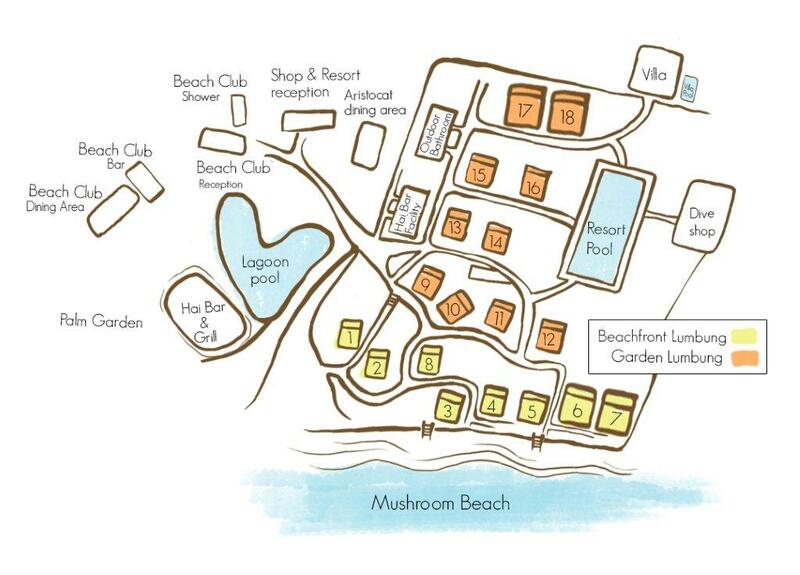 Guest’s enjoy quality accommodation and friendly service in a private boutique resort overlooking the Indian Ocean. 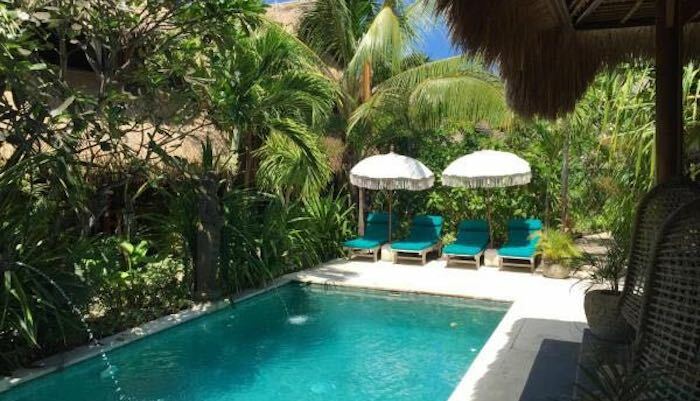 Following an extensive renovation completed in 2013, the appearance and appointments of the Balinese style accommodation has been significantly upgraded and now includes sparkling en-suite bathrooms to all 18 traditional “Lumbungs” & 3 stunning 2 bedroom villas each with their own private pool. For an improved guest experience, a new swimming pool and lounge area has been completed in the private, landscaped resort gardens. Resort guests also have access to Bali Hai Beach Club’s facilities next door and Bali Hai Cruises’ Pontoon in Lembongan Bay to enjoy a wide selection of watersport activities. A new beach bar and restaurant the “Hai Bar & Grill” overlooks the Ocean and offers an extensive range of food & beverage with friendly service in a relaxed and casual atmosphere. Hai Tide Beach Resort has been appointed a PADI 5 star Dive Resort and provides qualified staff to assist guests with a range of optional scuba diving activities. 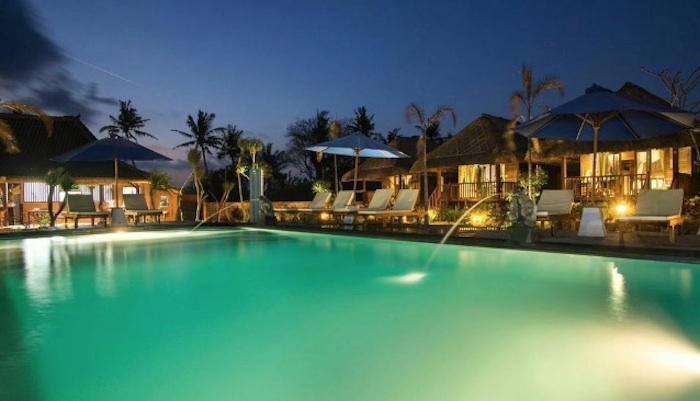 Hai Tide Beach Resort guests can enjoy all the Bali Hai Cruises Beach Club facilities which include a large two tier lagoon swimming pool, ocean kayaks, snorkelling equipment, banana boat rides, volley ball, beachfront bar and restaurant facilities. 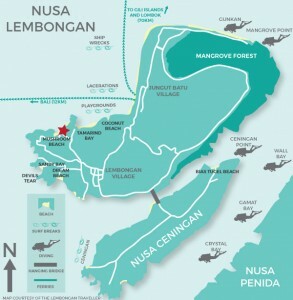 For the more adventurous, parasailing, surfing, fishing, and a range of island tours are also available. Beachfront and ocean views, air-conditioned bedroom, private en suite (shower, basin, toilet), mosquito net over bed, king bed or 2 twin beds*, fridge, in-room safe. Two air-conditioned bedrooms, one with king bed and private en suite (open air shower, basin, toilet), one with 2 twin beds and private en suite (open air shower, basin, toilet), mosquito net over beds, private pool, generous open-air lounge room, kitchenette with fridge and dining table.